If you’re looking for really great Windows 10 Training you’re in the right place. Companies large and small choose us – why? Your own tailored, Windows 10 Training course, at your own premises at the same price as a standard course from elsewhere. Windows 8 is the latest operating system from the Microsoft suite. It can be used in both a touch screen and a keyboard environment and is often used interchangeably depending on the device on which it is being used. On the Windows 10 training course, we introduce you to the Windows 10 environment and will show you how to move tiles and access the Charms bar. You will learn how to search for files and apps. You will share files with others and work collaboratively. We deliver Windows 10 training in London, Bristol, Cardiff, Birmingham, Bath, Swindon, Reading, Bracknell, Newport, Swansea, Hounslow, Kingston, Staines, Croydon, Leatherhead, Surrey, Reigate, Redhill, Dorking, Weybridge, Walton, Epsom, Esher, Ewell, Woking, Banstead, Ascot, Heathrow, Uxbridge, Ealing, Surbiton, Farnham, High Wycombe, etc. 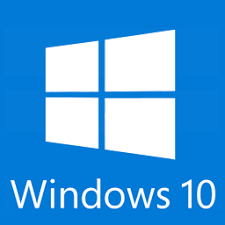 This course aims to introduce delegates to the Windows 10 operating system. The course is of one day's duration. We provide Windows training courses, Microsoft Office training courses, other IT training courses and Personal Development training courses in London, Richmond, Twickenham, Kingston, Hounslow, Brentford, Putney, Kingston, Wimbledon, Walton-on-Thames, Chiswick, Teddington, Hampton, Feltham, Acton, Ealing, Heathrow, Egham, Staines, Hanwell, Sunbury, Hammersmith, Fulham, Greenford, Clapham, Chertsey, Woking, Weybridge, Wandsworth, Middlesex, Surrey, the M25 corridor, High Wycombe and beyond. We will travel further if expenses are covered.